Korean boy band BTS have blown up into international superstars, thanks to their versatility. 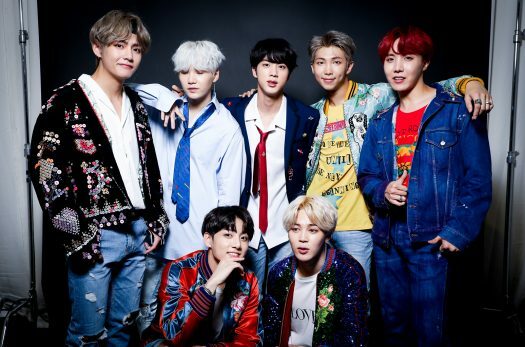 Who are BTS and why are so many girls going crazy for this Korean boy band? Simple: these boys are highly talented and give their all in every performance. Bangtan Boys, best known as BTS, bring something to the table that other boy bands can’t really bring, and that’s their insane choreography. At the American Music Awards in 2017, BTS performed and shook the U.S. Although their song was in Korean, they incorporated catchy English verses to appeal to the crowd. BTS appeals so strongly to some fans, despite the language difference, that an actual reason for their love and obsession cannot be explained. “What is there not to be obsessed about?” said college student Vanessa Blanco, who has been a fan of BTS since 2013. Blanco is so much of a fan that the idea of a band comparing to BTS is “stupid”–her words, not mine. Other fans, like college student Judy Sopanora, think the actual personalities of the boys in the band, are what make them so special. “They’re so funny and humble,” said Sopanora. She, like many other fans, thinks that BTS is the full package: dancing, singing, songwriting and cool wardrobe. BTS is a group of seven young men who are categorized as quickly-growing genre “Kpop”. The band first rose to fame in June 12, 2013. They debuted their song “No More Dream” from their album “2 Cool 4 Skool,” which was an immediate hit.